Depending on the report you read, Windows Phone's struggle to gain traction in the U.S. continues, or the platform doubled its penetration in the U.S. during the beginning of Q2. Nielsen, the same company that counts how many Americans watch a specific television show, says that the Windows Phone powered Nokia Lumia line accounted for just .3% of the installed base of smartphones in the U.S. during the second quarter. On the other hand, a report from NPD shows that Windows Phone owns 4% of the U.S smartphone market after the first two quarters of the second quarter. That doubles the 2% market share that the platform held in Q1, and is ahead of the 1.4% market share in the States that Windows Phone held in last year's first quarter. NPD says that there is one reason for the doubling of Windows Phone's market share in the U.S. and that is the flagship Nokia Lumia 900. The device, launched exclusively in the States by AT&T, for months was the carrier's second most popular phone behind only the Apple iPhone 4S. Because existing Windows Phone models will not be updated to Windows Phone 8, the Nokia Lumia 900 is the subject of discounts from retailers and this past weekend, AT&T cut the contract price of the phone by 50% to $49.99. Nokia will be announcing its latest quarterly figures on Wednesday, so it will give us a chance to see which of the reports is correct. Windows Phone fans hope the next release of the OS will do for the platform what Android 2.0 did for the green robot. But it is also going to require hardware that attracts buyers the way the Motorola DROID did when that handset launched Android 2.0 in late 2009. The DROID has been on the market for less than 3 months when it won Time Magazine's Gadget of the Year for 2009, beating out the Apple iPhone 3GS in the process and kickstarting Androidmania which has taken Google's open source platform to the top of the global charts. Hey, some good news for WP and Nokia!! Hopefully this will ease some investors minds. I want to see Nokia survive, even if they do it with WP and one other OS. Oh well. Another case of "wait till the official numbers come out." I'm personally not too concerned with how well or poorly Microsoft's WP has been doing over the last couple of quarters because all that matters is how well consumers receive WP8 and W8. The reports are conflicting but anyway, my wish is for Windows phone 8 to be a hit and for Nokia to slowly regain their market position. Of course, this won't happen overnight. 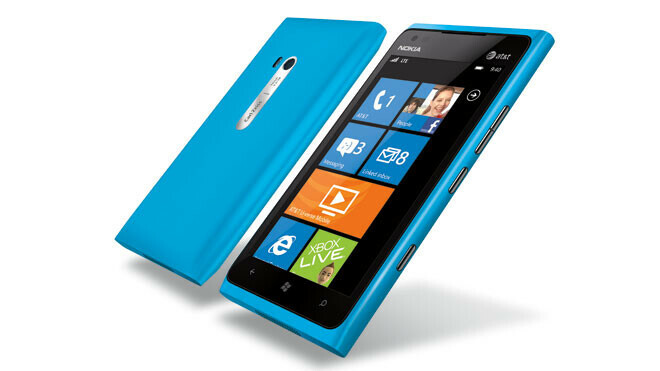 I will be getting the first WP8 phone that Nokia releases, i won't even have to think about it. Wait, someone for the purposes of making it sound like a big deal finally decided to separate WM from WP7 in the marketshare numbers? Bulls**t.
This had me thinking.....It was separated in another article in a way. This shows Win Mo and WP......combined.... for 4%: http://www.phonearena.com/news/New-Nielsen-report-has-Android-commanding-52-of-the-US-smartphone-sce ne_id32225 Look at the last chart. Now this article says WP ....alone...is at 4%. So....like with any chart, analysis...which one is right...lol? Yeah, but that was only like a few days ago, and wasn't the usual charts we see here. I posted it....because it goes along with your BS call...lol. This article has WP at 4%...that article has Win Mo and WP combined for 4%. The bullls**t call was on the motive for separating them, not the fact that it has reached 4%. Doubling your marketshare from 2 to 4 isn't anything to be happy about. I mean, hell, in one report IIRC in late 2011 WM marketshare went up. Ahh....I see now what you mean...lol. Agreed, i haven't seen a single person with a lumia 900 in nyc. I guess the artclie means the windows market share doubled from 2 people to 4. I'm excited for WP8 and W8 but Microsoft should get live demo models in stores at least a month in a half before launch so sales reps can get familiar with the OS and actually show customers what WP8 and W8 is all about. About time Nokia got some effing good news. This makes more sense than the last report because I randomly see lots of people with Nokia Lumia 900 when I walk around especially the cyan color which you can tell from a mile. This wouldn't happen 3 months ago. So one would assume that there's got to be at least some growth in WP market share. hello everybody i hope the best for you all. Microsoft windows 8 Phone operating system is using the same OS system core that Microsoft is using on Desktop/laptop computers. windows servers and tablet computers. one of the good things it does is insures that Windows phone 8 will be around a long long time and not last 2 years like the Windows phone 7 series smart phones on sale right now. That is why AT & T, Verizon, and other carriers are now backing Windows phone 8. 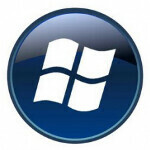 Windows 9 and 10 will also probably use the Windows 8 core operating system but may have New features added to them. The main question is will the metro start screen on Desktop/Laptop computers remain the first screen Windows 8, 9, and 10 computers boot up into. There is so much resistance to this I predict that Microsoft will give Windows 9 users the option to boot right directly into the Metro desktop screen instead of the Metro start screen because this will make the Enterprise and a lot of regular PC users happy. Nice post. Thanks for the insight into WP8. SOuld like something I might even give a spin eventually. I am still on Win XP Pro tho....so...lol. Even still use Vista.